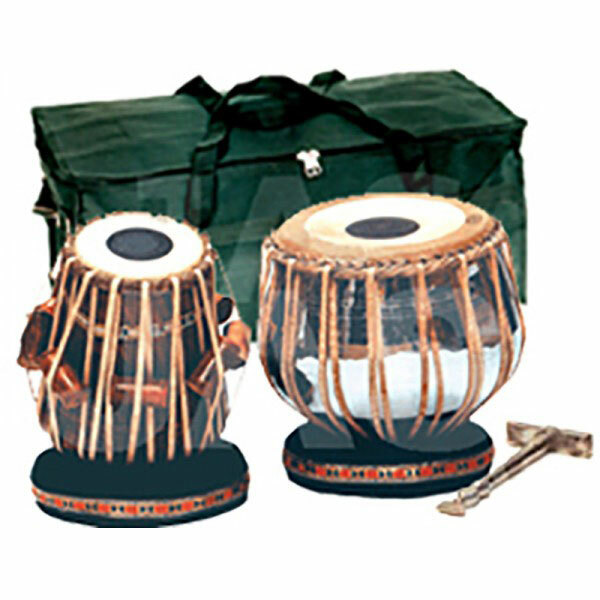 A deluxe quality tabla drum set. Small drum made of good quality seasoned treated Sheesham wood. Large drum made of chrome plated brass. Comes with good quality pillow and covers set, tuning hammer and carry bag.